I thought that the last post was the last one in this year. But when I got new tea and new tea cup I was so happy that I decided to sit down behind my tea table, take few pictures and share that with you. New cup and new tea- what a nice combination. The creator of this cup is Peter Fulop . The Hungarian potter living in Ireland for so long time that we can easy call him the Irish. His work is as magical as Irish countryside where he is living. 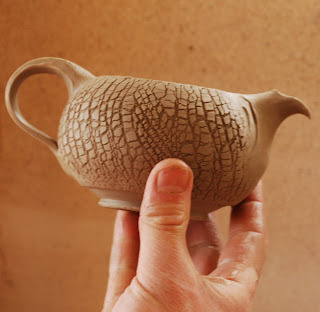 I find this small cup visiting Daniel Klasek who runs, with his wife, e-shop with tea and tea ware. They are going to offer tea ware from Peter Fulop and I was happy to be the first customers who bought something from him there. I have opened sealed bag with this tea yesterday and put it in to porcelain tea caddy. I was impatience and during the evening I opened the caddy several times. Fragrances were each time getting stronger and more complex. Sweat cream, light vanilla…I am usually not sentimental about Christmas but I started to look forward to it. I have to say that I am not a big fun of Gao Shan teas. Very often those vanilla and sweat fruits fragrances are too aggressive for me. But this one is clean, balanced and full in taste. I also enjoyed purity of liquid. White porcelain cup helped to enjoy this purity. Even though all infusions were sweat with pleasant bitterest, the tea was so strong that after third infusion I had to take a break. The tea withstands more then me…I have continued with it later. Thank you Stephane for your tea Thank you Peter for your nice work. 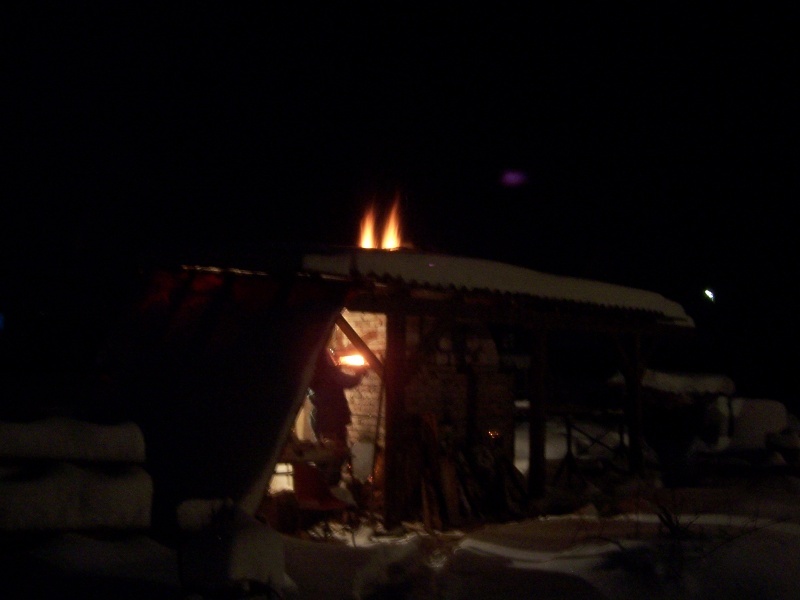 This week we fired the last kiln of this year and as usually it was very exiting time. 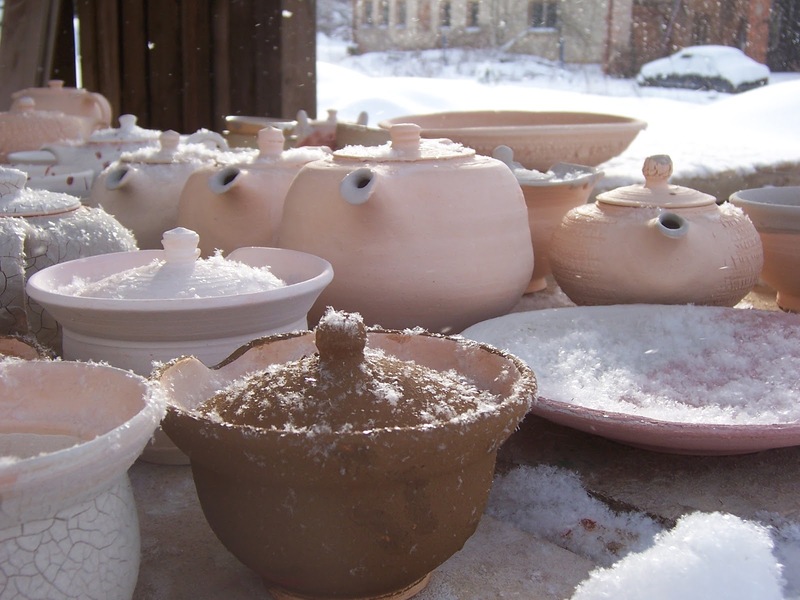 When we started loading, after two days of glazing, the temperature was falling down and snow slowly fulfill bowls and cups waiting to be loaded. This time we decided to try new technique. New technique for us but used by many potters all around the world. When the kiln was prepared to be closed and temperature reached its peak, we opened small window. In the kiln was around 1300°C and we saw pieces in white heat as on the table. 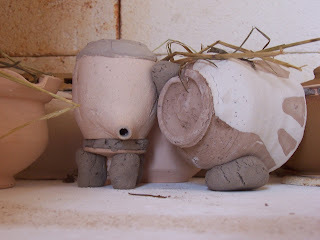 Then we throw charcoal in to the kiln. Directly on, in and around pots...We selected only two kiln shelves for this. It was very exiting as sparks shouted around us to the snowdrift. And now, kiln is cooling down. We try to be cool and pretend that we are not nervous to see how many damages and treasures we are going to find yesterday, unloading the kiln. If there will be any suitable teapot, decorated by charcoal I would like to use it for charcoal roasted oolong from my reserves. I look forward to it. 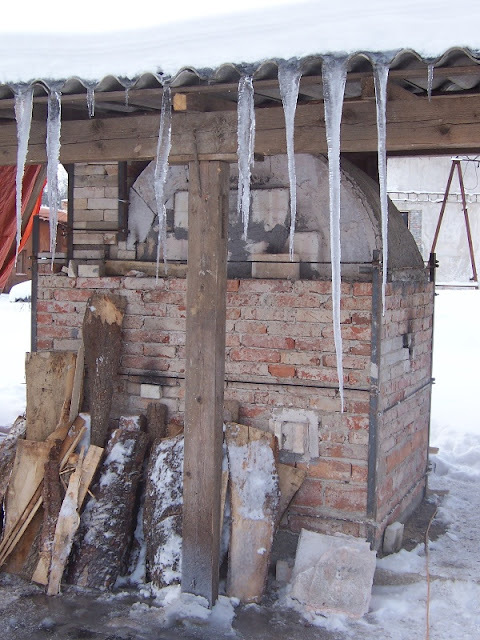 The heat from the kiln is still melting the snow on the roof...Is the stalactite going touch the ground?